After relying on fake documents and doctored info to write stories about 1MDB, Malaysia’s public investment company, editor of Sarawak Report, Clare Rewcastle Brown, will most likely face arrest and extradition to be eventually tried in a Malaysian court. Her imminent arrest and conviction are now hot topics of conversations currently going at warongs in the Klang Valley and elsewhere in the nation. 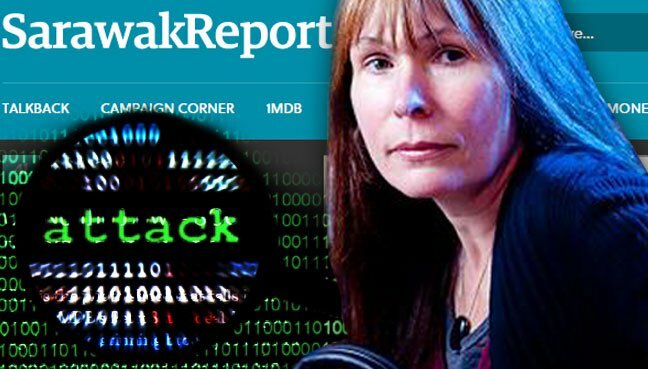 Former Sarawak Report journalist, Lester Melanyi , in a video interview, had revealed that Sarawak Report had, on a number of occasions, solicited documents and e-mails that were concocted and tempered with in order to point to 1MDB money being siphoned off and allegedly going into Prime Minister Najib’s personal bank accounts. Prime Minister Najib is also seeking legal redress against The Wall Street Journal which had also carried stories purportedly pointing to the P.M. indulging in some form of wrong-doing based on the money trail which seem to indicate that money, as claimed by WSJ, was channeled to his private account maintained at AmBank Malaysia. Behind all these supply of fake documents and doctored info, is a Swiss by the name of Andre Justo, who is now being remanded in a Bangkok prison, Thailand for blackmailing his former employer, PetroSaudi International. Perplexing is the speed at which Sarawak Report sought to protect Andre Gusto, a shady character and a sinister one who is known have made money from selling fake documents and data. It takes a thief to know a thief and to protect one. British authorities must now ensure that Clare Brown does not simply disappear from British soil. They should also take the necessary steps to ensure that she does not commit suicide following revelations that Sarawak Report, an Internet based news portal, had resorted to buying fake documents and doctored info to execute its dirty job.